The Caleb Cover Letter does a phenomenal job of introducing yourself. Recruiters tend to view cover letters longer when there is a personal, yet professional feel. 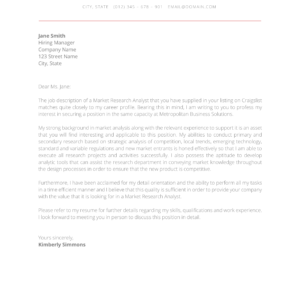 This creative cover letter exclusively sold on Resumeshoppe.com uses subtle shades of color to help it stand out and continue drawing the recruiters attention down the page (where the importance pieces of information are, including Education, Experience, and Skills). Don’t like green? No problem – the colors in this personal resume can be completely customized in Microsoft Word. Check out the Caleb resume template as well. 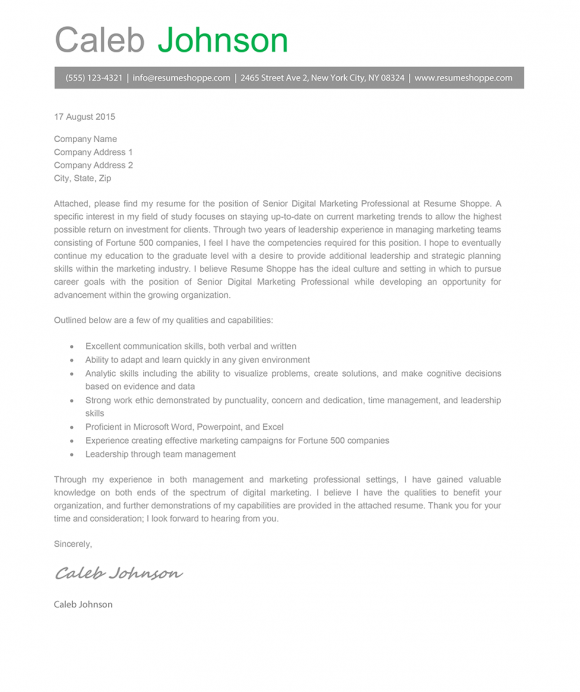 Caleb Cover Letter Template – How does it work?